Magpie Moth: I have a book to review - how exciting! Yes, for the first time since those heady - and mildly embarrassing - days of student music journalism, I actually have been given something to review. Big thanks due to Theakers Quarterly Fiction, a rather nifty e-published compendium of SFF short stories and reviews, for letting me have a shot. And what's the book? 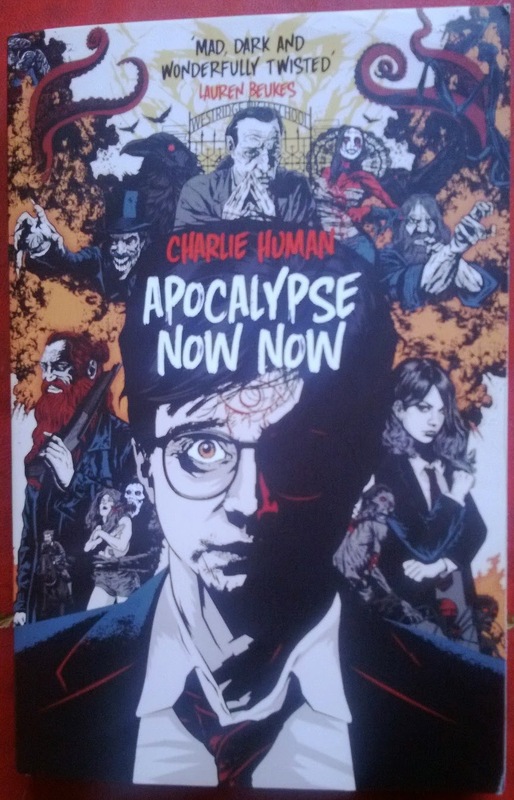 It's Apocalypse Now Now, the modern fantasy debut by Charlie Human, featuring this rather amazing front cover. My elevator pitch summary? I guess Harry Potter coming over all Ferris Bueller in the streets of Cape Town will have to do for now. And, yes, I liked it, although I want to read it again before committing my thoughts to paper.